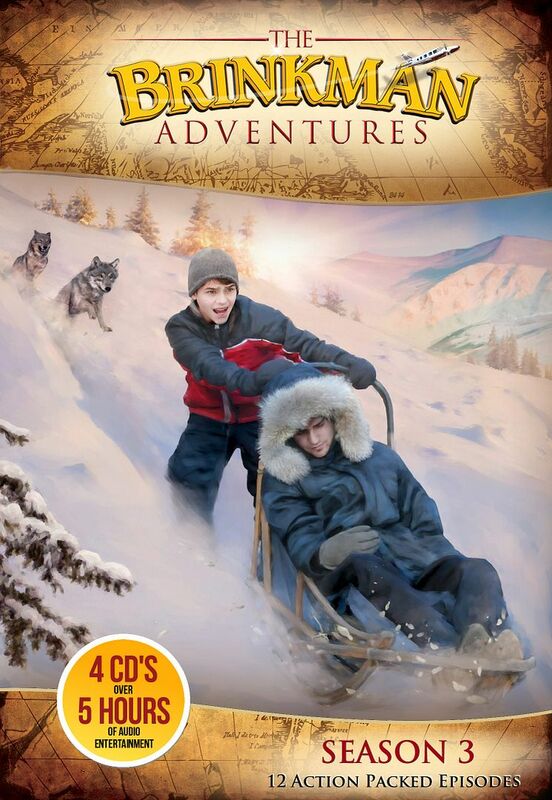 I had never heard of The Brinkman Adventures before being chosen to review The Brinkman Adventures Season 3, so beyond the samples on the main webpage, I wasn't really sure what to expect. It was a very nice surprise to be greeted with a lovely audio drama full of interesting dialogue and an emphasis on God and missionary work. The Brinkman Adventures Season 3 in another installment featuring the exciting adventures of The Brinkman family, a family of missionaries who travel the globe spreading the message of Jesus. This is available as a physical CD, which is what we received for this review, and as an MP3 download. Season 3 comes well packaged in a multi-disk case that includes 4 CDs packed with 12 episodes with over 5 hours of adventure listening fun! An interesting thing to note: The episodes are based on real life accounts of a missionary family, whose names have been changed to protect their identity. Each member plays themselves, and some parts have been dramatized. You can click on the link for each episode to learn more about the real life adventure that inspired that episode! How We Use It: We tend to road trip a lot. My family lives over an hour away, so when we decide we want to go for a visit, the trip is at least 2 hours. Add to that my mom was moving back from her summer place in the mountains to spend the winter back here and we were helping her movie, and you have the perfect time for audio drama listening! We did not use these as school work much, which is how I initially thought we would use them. I figured we would use this as a great geography component. We could track the family and the adventures where they take place, we could research the situations more, etc. and use each episode as a unit study of sorts. It sounded great in theory, but we decided we just wanted to enjoy listening to them with no strings attached. The 1st CD started out a little awkward for us. At first I thought there was something wrong with it, or I thought maybe it was continued from season two. The CD starts as if it is midstream already, then after a few minutes, the narrator comes on to introduce the episode. I found this to be a bit odd, and at the time it was frustrating to think we were missing something. So....when you pop your first disk in, don't fret! You've not missed anything! After that, the stories are very easy to follow, and very interesting. They showcase an emphasis on trusting the Lord and following what God has planned for you, regardless of what you may have planned for yourself. This provided really good opportunities for family discussions and conversation on the topics presented. The very first Episode, God's Mule, is a great example of one such discussion. We talked about placing God above family and friends, and the amount of faith required to do that at times. The Brinkman Adventures also provides a "Fun Stuff" tab on the site that features coloring sheets illustrated by Gina Graham. These sheets are available at no extra cost. There are also behind the scenes videos, and other links that you can explore to learn more about the "Brinkmans" and missionary work. Which is exactly what we did! Overall: The characters are cleverly portrayed with varying accents and vocal ranges. There is slight background and ambient sound within the episodes. I actually think the ambient sound could be played up a bit more than it is, but as it stands it is still nice. The music is great....GREAT. That's one of the first things Mr. M said! He commented that the music was fantastic and he really enjoyed hearing it. It is not obtrusive at all, and really adds to the overall audio theater experience. Overall, we really like The Brinkman Adventures, and we are looking forward to season 4! If you'd like to check out more reviews of this product, please click the banner below of for The Schoolhouse Review Crew blog!